Approximately 50 to 60 percent of the whooping cranes have departed from Aransas Refuge (Texas coast) on their long 2,500 mile migration to Wood Buffalo National Park in Canada. Wood Buffalo is where they nest and rear their young. Dr. Wade Harrell, U.S. Whooping Crane Recovery Coordinator continually monitors the whooper flock on Aransas National Wildlife Refuge. Harrell described the ongoing migration of the birds as normal this spring. He explained that, “Whooping cranes are still being observed on the refuge, but the migration is well underway. Harrell estimates that most remaining birds will depart from Aransas Refuge over the next couple weeks. He advised that, “Whoopers are scattered along the migratory path as far north as North Dakota. Though the birds seem to be leaving in mass, they actually have staggered departures and leave in small groups. This is important as it ensures survival of the species. 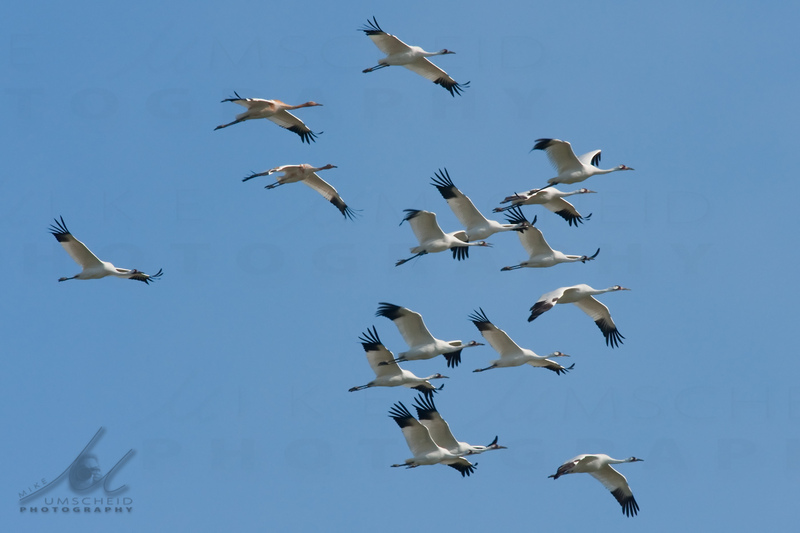 If they were to all leave together and encountered bad weather or some other catastrophic event, it could put the whole flock in jeopardy.” Dr. Harrell’s migration information mirrors information collected by the Whooping Crane Conservation Association (WCCA). 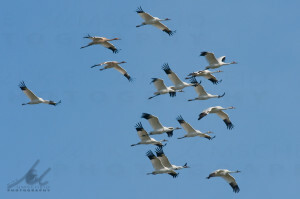 Many bird watchers and a variety of citizens observe whooping cranes and report then on WCCA’s web page https://whoopingcrane.com/ . Anyone who spots a whooper can go the web page and click on Report a Sighting and complete a simple form. WCCA places the information received on a map during the spring and fall migrations. 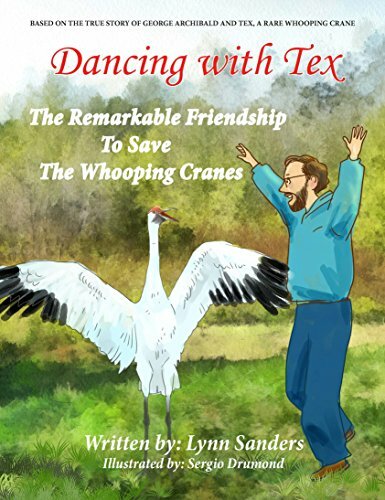 Anyone can keep up with the migration by clicking on https://whoopingcrane.com/migration/ . WCCA’s Migration Map includes all creditable whooping crane observations from reports received. Each whooper “icon” on the map represents from 1 to 6 birds. Observations have been posted on the Spring Migration 2013 map since mid-March. Importantly, all postings are delayed at least one week to help prevent harassment of the birds. Because the whoopers move frequently during migration, it is highly unlikely that one can use the map to locate the birds. This entry was posted on Tuesday, April 16th, 2013 at 7:55 pm	and is filed under Aransas NWR Updates, Aransas Updates, Association News, Census Flights, Endangered Species, Flock Status, Headline, Migrating Reports. You can follow any responses to this entry through the RSS 2.0 feed. Both comments and pings are currently closed.